In 2015, the food truck industry was valued at $856.7 million, and it is expected to grow to $996.2 million by 2020. There are many reasons for this growth including the seemingly easy entry into the restaurant business that it provides. 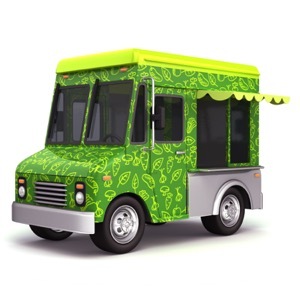 You can purchase a food truck for as little as a few thousand dollars, but like any business, it’s imperative that you protect your assets and your business. One way to protect both is with the right insurance. Insuring a food truck can be a little tricky because it has many of the risks associated with commercial vehicles as well as those associated with restaurant insurance, not to mention all the risks that all businesses face, plus a few that are unique to the food truck industry. For example, it is more difficult to regulate temperatures on a food truck, which can increase the risk of food contamination and food poisoning. Plus, the small food prep area in food trucks create a greater chance of accidentally exposing customerswith food allergies to allergens. Slip and fall injuries can occur both inside and outside of a food truck, and trucks can be easier to break into than brick-and-mortar restaurants. Another consideration is Workers Compensation Insurance. In Pennsylvania, It is required for most – but not all - businesses with employeesto have WC insurance. If you fall into the “not all” category, you may be tempted to forego WC coverage to “save money.” But kitchens can be dangerous places where injuries can happen, and medical bills can quickly add up to significantly more than the money you saved. It may be tempting to try to save money by only purchasing the minimum insurance required by law or by the venue where you park your truck, but that minimum may not be enough to protect your business. For example, many festivals require a minimum $1 million in general liability coverage. You can purchase liability insurance to cover just that event, but then you leave your business open to risks when it’s not at the event. Plus, buying insurance on an event-by-event basis can be significantly more expensive than purchasing it on a yearly basis. If you keep the big picture in mind when purchasing insurance for your food truck, you allow your business the flexibility and freedom it may need to grow along with the protection you need to stay in business. To ensure that you have the proper protection, it is best to consult with an independent insurance agent who specializes in food truck and restaurant insurance. We can help determine any mandated minimum insurance requirements along with any additional risks your business may face. This insurance protects your business from lawsuits or claims made by third parties including physical injury, property damage, and legal fees. This insurance helps cover risks while you are driving your food truck. If you are in an auto accident, it helps cover the cost of medical, repair, and legal expenses. This insurance combines business content coverage and general liability insurance to cover both lawsuits and damage to your property, and it usually costs less than buying property and general liability coverage separately. 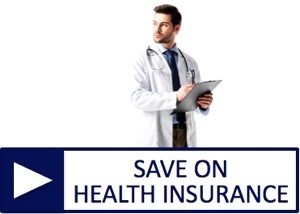 This insurance pays for medical expenses, lost wages, and lawsuits if one of your employees is hurt on the job. Loss of Income Insurance, which covers some of your income if your food truck is damaged, and you’re unable to continue operations. If you aren’t absolutely sure what you need to properly protect your food truck business, give the independent insurance agents at American Insuring Group a call. We specialize in restaurant and food truck insurance and can help you sift through all your risks and options in order to properly protect your business. Simply contact us at (800) 947-1270 or (610) 775-3848, or click here to contact us online. Food Trucks may have started as a big-city phenomenon, but their numbers are growing in big and small towns alike. While the restaurant industry continues to grow at a steady rate of approximately 2% each year, food trucks have increased at a rate of 7.9% annually over the past five years, according to FoodTruckr.com. In 2017, food trucks were a $2 million industry. Much of the appeal may be the relatively low start-up and operating costs. But as with any business, food trucks come with their share of risks. The right type of restaurant insurance can help protect your investment if something happens. Taking proactive steps to avoid that “dreaded something” from happening can save lots of time, money, and headaches, and avoid increased restaurant insurance premiums as well. We know you have a lot of things to consider when hiring someone new, but if they will be driving your truck, it’s essential to check their driving record. If they’ve had multiple accidents or speeding tickets, the chances of them damaging your truck in an accident are probably higher. 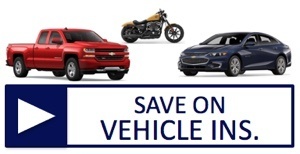 Plus, employees with bad driving records could cost you more on commercial auto insurance. While your food truck is in motion, there’s always the possibility of an accident. However, there are safety measures that you can take and that you can share with your employees such as being an alert driver, maintaining your truck, Keeping enough space between you and the vehicle in front of you, etc. Mobile-Cuisine offers these food truck driving safety Tips. Create and enforce a safety plan. This is a big one. It can be time-consuming, but it is well worth your time if it can avoid causing injury to employees or customers. Creating a safety plan and then simply letting it sit in a drawer gathering dust is a waste of time and money. Make sure your employees understand and follow the safety procedures you’ve put in place. Make it clear that safety is a priority and hat your safety plan isn’t just a formality, but something that every employee is expected to follow. Try to eliminate potential hazards by keeping floors clean and uncluttered, providing personal protective equipment when appropriate, properly maintaining kitchen equipment, and following manufacturers’ instructions. 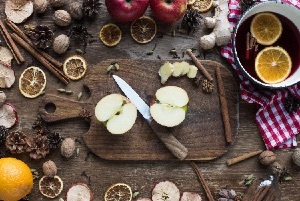 To avoid food-related illnesses, follow food handling and safety measures such as storing food correctly, following proper cooking procedures, preventing cross-contamination, and practicing proper handwashing techniques. Ensure that the area around your truck is clear of hazards such as slippery surfaces, cords, etc., and clearly mark any potential hazards you may not be able to control. Being proactive is important, but sometimes no matter how careful you are, accidents still happen. 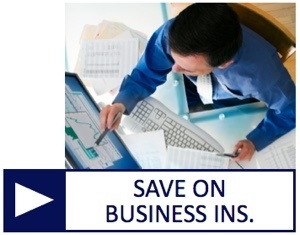 This is where the right insurance can help protect your business. The independent agents at American Insuring Group specialize in all types of Commercial Insurance. Their independence means they are free to shop the market to get you the best deal on insurance that's right for your business. 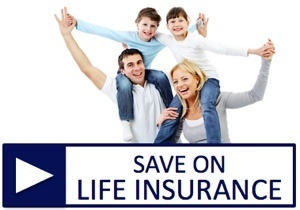 So call us at (800) 947-1270 or (610) 775-3848, or contact us online. Every year 48 million people get sick from a foodborne illness, 128,000 are hospitalized, and 3,000 die, according to the Center for Disease Control and Prevention, and over half of all reported foodborne illnesses are attributed to foodservice. In addition to the human cost (sickness, medical costs, lost work), a foodborne-illness outbreak at your restaurant can cost thousands of dollars and sometimes the loss of your business. It can cause negative media exposure, damage your reputation, decrease sales, affect staff morale, create lawsuits, and increase your restaurant insurance premiums. Every food product that you serve has gone through several levels of the supply chain, and there are hazards at every level that can cause sickness or injury. Fortunately, these hazards can be reduced, prevented, and even eliminated. One of the advantages of HACCP is that it prevents food safety hazards rather than reacting to food safety hazards; it prioritizes and controls potential hazards. And it can be customized to your restaurant’s menu, customers, equipment, processes, and operations. Compliance May not be Mandatory, but it's Really Smart! Most restaurants are not required to have an HACCP plan, but it is one of the best systems available to ensure the safety of the food within your restaurant, and, as a big bonus, it is likely to help reduce your restaurant insurance premiums by lowering the number of insurance claims submitted. Identify food safety hazards - any biological, chemical, or physical property that may cause a food to be unsafe for human consumption - and take preventative measures to control these hazards. A critical control point (CCP) is a point, step, or procedure in the manufacturing or preparation of food where a control can be applied to prevent, reduce, or eliminate a food safety hazard. Monitoring is a planned sequence of observations or measurements to assess whether a CCP is under control and to produce an accurate record for future use in verification. Ideal circumstances do not always prevail and deviations from established processes may occur requiring corrective actions. Once an HACCP is in place, make sure the system is operating according to plan and delivering the desired results. Restaurant owners should maintain the following records: a summary of the hazard analysis - including the rationale for determining hazards and control measures - and the HACCP Plan - including a brief summary of the position responsible for performing the activity and the procedures and frequency. Contact Us for Better Restaurant Insurance at a Better Price! An HACCP plan is one of the best ways to ensure the safety of the food that you serve and to protect your customers, your employees, and your bottom line. The right restaurant insurance is a safety net that protects you in the event that all of your precautions aren’t enough. The experienced agents at American Insuring Group specialize in Restaurant Insurance, and best of all, they're independent. That means we are free to shop the market to get a plan that matches your needs with a great price! So give us a call at (800) 947-1270 or (610) 775-3848 or contact us online to see how we can help you save on your bar, nightclub, food truck, or any other type of restaurant insurance. More people are getting into the food truck business than ever before. Food trucks offer a more affordable and flexible option for first-time entrepreneurs. Plus, many restaurateurs are adding food trucks to increase brand awareness and to cash in on the current growth of the food truck industry. Food Trucks are the fastest growing channel in today’s foodservice industry. The projected food truck revenue in 2017 is expected to be $2.7 billion – compared to $650 million just five years ago - according to Foodtruckoperator.com. 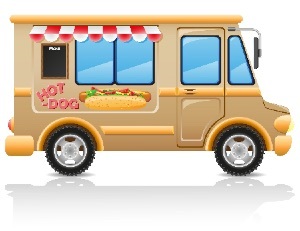 Vehicle Risk – Food trucks are exposed to many of the same physical risks a restaurant faces such as fire, flood, and general wear and tear with the addition of automobile accidents. Operator Risk – The people operating the vehicle are subject to many of the same risks a restaurant faces such as falls, cuts, and burns. Liability Risks – Customers can suffer an injury such as slips or falls along with food-related illnesses. Plus, food trucks have the added liability that sometimes occurs with automobile accidents. It is your responsibility to protect your business, employees, and customers by managing these risks. There are steps you can take to prevent some them such as thoroughly screening anyone who will be driving your vehicle, following food safety guidelines, and being aware of any possible hazards both in and around your truck. Unfortunately, there will always be certain risks you don’t anticipate or can’t control. One lawsuit or one accident that you aren’t prepared for can mean the end of your business and all the hard work and financial resources you’ve put into it. That’s where food truck insurance - which addresses risks related to most businesses and risks unique to food trucks – can help. Also, most landlords, event organizers, and venue owners will require you to have certain types of insurance. 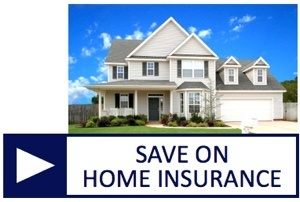 For example, most will require at least $1 million in general liability insurance. They don’t want to be held responsible for damage to your vehicle or injury to your customers. General liability helps cover legal expenses, fines, and penalties if someone sues you. Workers compensation (WC) insurance is required by many states. Within Pennsylvania, WC is mandatory for all employers with one or more employees (with a few exceptions). But with a food truck, you may find yourself traveling to other states. The National Federation of Independent Business offers a state-by-state comparison of workers’ compensation requirements. Property damage insurance protects your property from damage caused by collision, theft, fire, vandalism, and other damage while your vehicle is parked. Property is divided into two separate categories: your food truck with any attached equipment and the contents of your vehicle. Auto liability insurance covers you for injury or property damage to others if there is an accident while you are driving the vehicle. Food spoilage coverage protects you from the costs associated with the loss of food and beverages due to spoilage. Food can quickly spoil with a prolonged power outage or an equipment breakdown, and you certainly don’t want to serve your customers spoiled food. Food contamination coverage may help recover certain expenses if the health board shuts down your food truck after a food-borne illness outbreak. Contamination can be caused by mishandled or improperly stored food, employees may unknowingly transmit a virus or bacteria to the food, or the food may even be contaminated when you receive it. Umbrella insurance, which goes above and beyond your general liability and auto liability limits, may be required for large contracts. It may sound complicated and perhaps a bit overwhelming, but the independent agents at American Insuring Group can walk you through your options and help you determine the best food truck insurance for your operation. Contact us online or give us a call at (800) 947-1270 or (610) 775-3848. We'll compare competing insurance providers to determine those that offer the best protection at the best price to meet your needs. Contact us today to get protected and to start saving on food truck insurance!